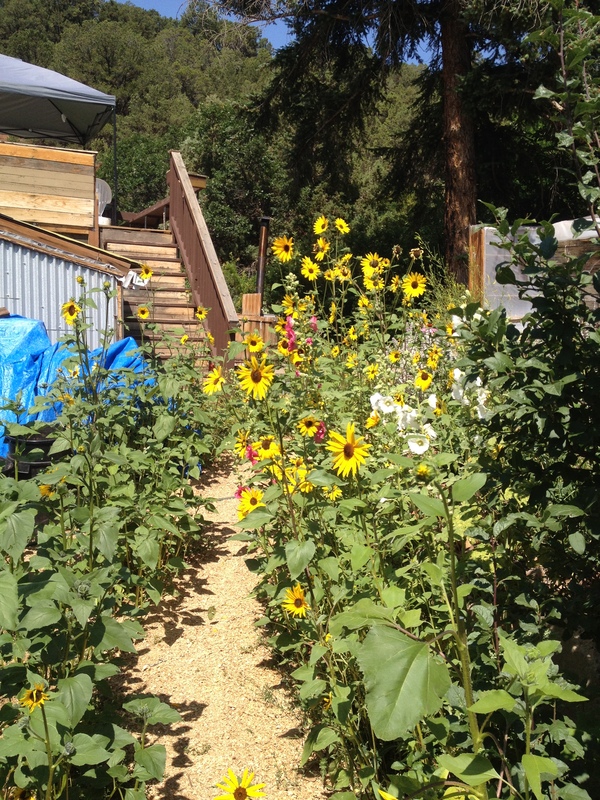 We are one of the oldest continually operating permaculture facilities in the United States – and we’re continuing to break new ground, now accepting registrations for our pioneering immersion training, the Permaculture Academy! Visit us for a day, and experience our hands-on demonstration site tours of our mature forest gardens and pioneering passive-solar greenhouses here at a 7,200′ altitude in beautiful Basalt, CO. Sample tropical – yes, tropical! – fruits from our on-site edible landscaping nursery. Chat with founder and director Jerome Osentowski and connect with our faculty and grads, some of whom are also recognized permaculture leaders! Discover why we don’t just inspire hope for the future. At CRMPI, we live it, breathe it, build it…and teach it. Dying to see more of CRMPI but can’t make it out for a visit? We have tons of pictures and videos of our daily duties! Over the coming year, CRMPI will undertake a succession-, financial- and strategic-planning process, involving the board, staff and other stakeholders in the organization. This will have to occur while CRMPI continues to carry out its ongoing educational programs, so it will place additional burdens on staff and will require extra resources outside of the operations budget. Board decision-making sessions – a series of facilitated workshops designed to culminate in strategic decisions on mission/vision, organizational structure, succession, programs, facilities needs, site ownership, staffing, finances, funding, etc. The overall result of this process will be a re-energized, strategically refocused CRMPI that is ready to begin developing a new suite of programs designed to support and accelerate the growth of the Roaring Fork Valley’s local agriculture economy. While it would be premature to predict exactly what these programs will be, it is fair to say that CRMPI sees potentially strong demand for bringing its permaculture wisdom and hands-on learning to local school grounds and college campuses. Funding this transformation is a high-leverage investment. It will bootstrap a small, inspiring but underperforming organization into one that is appropriately scaled and structured to deliver major benefits to our valley community – to schoolchildren and their parents and teachers, to local farmers building a more resilient local food ecosystem, and to consumers who will benefit from healthy, local food choices. Please consider donating to this succession process!